Kentucky indicts bourbon whiskey stealing syndicate. 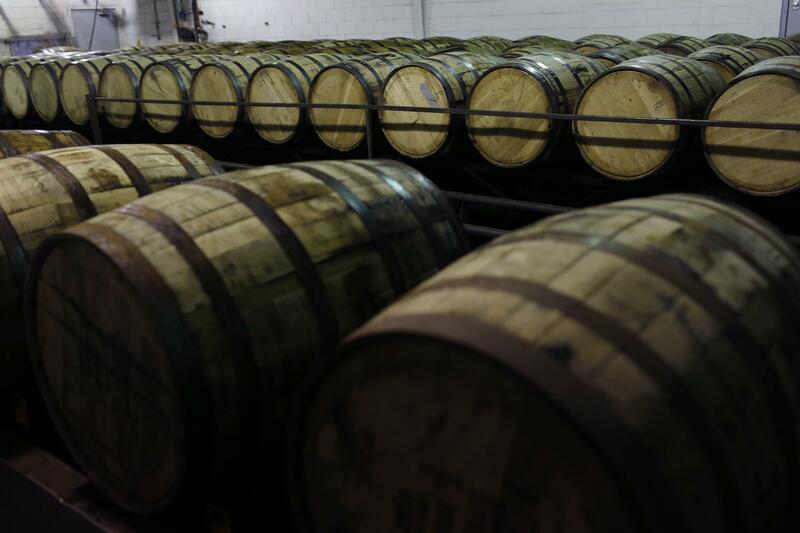 Barrels of Jim Beam Bourbon on Jan. 13, 2014 in Clermont, Kentucky. It doesn’t quite have the panache of a high stakes art heist, but as far as heists go, a high-priced bourbon swindling syndicate has its fair share of glamour. On Tuesday, a Kentucky grand jury put an end to what amounted to a seven-year run of whiskey theft by an organized crime group, with the indictment of nine people and the recovery of $100,000 of pilfered bourbon from Buffalo Trace distillery—maker of the ultra-pricey Pappy Van Winkle bourbon—and the nearby Wild Turkey Distillery. The mastermind of the syndicate apparently distributed the stolen goods through a finely tuned network of contacts and associates—known as the local softball league. What has your company softball team ever done? Grab pizza and beers after the game? Think a little bigger next time.